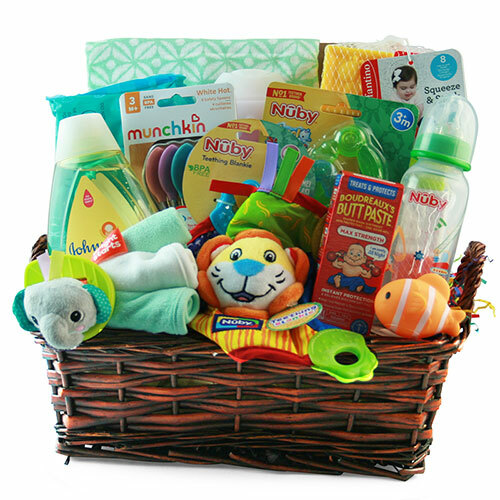 Imagine their delight as they open this grandioso baby gift revealing a phenomenal assortment of baby essentials and goodies for Mom and Dad too. From blankets and rattles to teething rings and bottles, this magnificent gift is sure to please! CONTAINER SIZE: 16" x 14.625" x 5.875"